I just wanted to offer a brief update on my review of the Ghost Ship's maiden voyage last weekend. As I mentioned there, some customers were disappointed with the debut of the new Halloween event. These customers posted negative comments on the Ghost Ship Facebook page and at Yelp.com; there is also an extensive diatribe at I-Mockery Blabber, which perhaps pretty much sums up the complaints. We have learned that the negative posts to this page are by a group of people who are all friends and affiliated with another Haunted House in Orange County. KTLA Morning News, Hollywood Gothique,* and many other unbiased entities are giving Ghost Ship positive reviews. We apologize to the fans on this page who have had to have their experience ruined by a few bad seeds. We are looking forward to seeing you on board. This threw fuel on the fire. 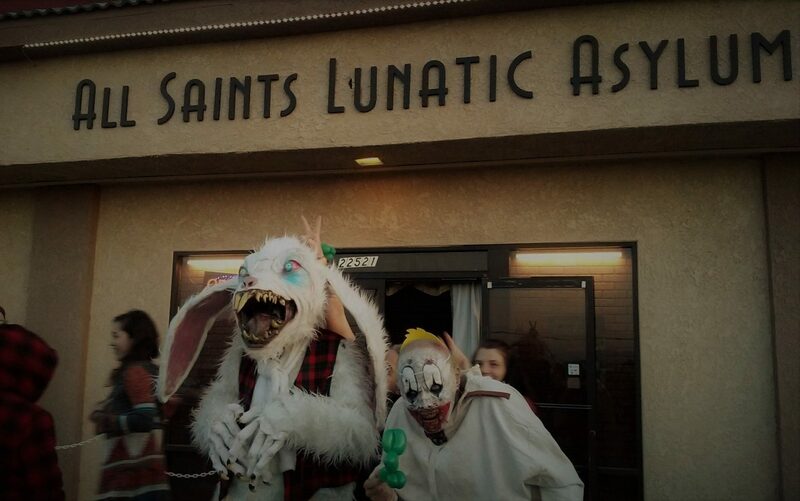 Customers who had left negative comments denied being affiliated with a rival haunt and accused Ten Thirty One Productions (the company behind Ghost Ship and the Los Angeles Haunted Hayride) of refusing to address their complaints. Please know, we are listening and have heard your feedback. We've spent the last week improving the Ghost Ship experience, and would like to invite those of you who did not enjoy it Opening Weekend to come back (at no cost) to see us on our new and improved "Ghost Ship." Email us at info@ghostship.com if you are interested in taking us up on our offer. This seemed to placate some customers, who expressed interest in taking the offer and attending Ghost Ship a second time,with an open mind. Others were less optimistic, questioning how Ghost Ship would be "new and improved" for its second weekend and stating a preference for a monetary refund rather than a return trip to Orange County. 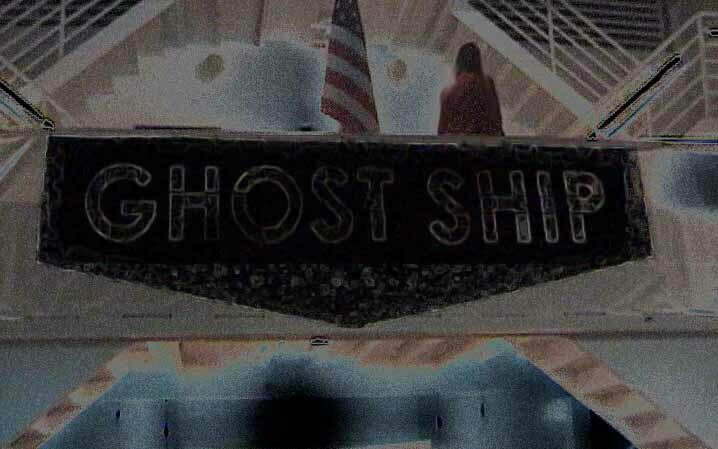 We attempted to contact Ten Thirty One Productions to find out what changes have been made to Ghost Ship, and to inquire whether they stand by the accusation that their critics are all friends and affiliates of a rival haunt. We have not heard back. Unfortunately, we will not be able to take a second cruise aboard the Ghost Ship (we enjoyed the first cruise quite well, thank you). We will, however, try to get some reactions from those who do attend this weekend. What some customers seemed to miss is that the Ghost Ship's second deck is supposed to capture "the old ballroom vibe of the 1930s" (to quote Ghost Ship's official website). With its subdued decorations at the bar and a ghostly duet of piano player and singer crooning old tunes on the dance floor, the deck achieves this goal. One could argue that this is not the best way to go conceptually, but it is what was advertised, like it or not (and we rather liked it). For ourselves, we found that some first-week critics made a few points similar to those in our review. However, there were also numerous inaccuracies and omissions, such as claims that the drinks were watered down (not true); that there were no decorations inside the Ghost Ship except for sheets on the chairs (also not true); and that there was little of interest to see in the third deck haunted maze (really, really not true). Perhaps our favorite irrational peeve came from the author of the I-Mockery review, who seemed perturbed that Ghost Ship sailed around the harbor, in view of lights on shore, never really conveying a sense of being lost at sea. Exactly how far he expected the ship to travel on a one-hour tour, we're not sure; but the chances of losing sight of land on a round trip in that amount of time (short of a fog bank) are somewhat slim. FOOTNOTE: *At this point, I had written only a brief mini-review. My full-length review was posted after the controversy erupted.